Mobile shoppers and mobile devices are drastically different than traditional online eCommerce scenarios. Mobile shoppers typically have less time to browse, screen sizes are tiny in comparison, keyboards and eCommerce navigation are awkward and voice-enabled features are becoming more common. Here are a few things to consider while building your mobile eCommerce site. The limitations on mobile devices prioritize search on mobile eCommerce sites. Faceted navigation and browsing just don’t cut it. Shoppers want to see what they are looking for quickly and the search box is the fastest path to purchase. You should assume that the vast majority of your mobile eCommerce shoppers will interact with your search box before making a purchase. How can you make it easier for them to get to your search box and enter what they are looking for? The importance of eCommerce site search in mobile environments means that the search box must produce accurate, relevant results, even when shoppers enter partial or complex queries. You need a backend system that understands shopper intent and that can showcase the most relevant items from your product catalogue. Quality trumps quantity – mobile shoppers are much less likely to scroll through pages of results. Results need to be displayed clearly, with uniform images r anked by relevancy. Most new phones, including the iPhone and Androids, are voice enabled and your shoppers are becoming much more comfortable speaking to their devices, as they would a personal assistant. People can now click a microphone button on their mobile devices to enter text into your search box and this is leading to more naturally spoken, descriptive queries. Remember: Mobile DEMANDS great eCommerce site search. Consider natural language processing solutions, which automatically understand shopper intent and match queries to the most relevant items in your product catalogue. Natural language and semantic solutions are vastly better at understanding longer, more descriptive queries, like those spoken into voice-enabled devices. If you are not able to upgrade from keyword to natural language or semantic search, make sure you tune your system as best as possible – adding all relevant synonyms, common misspellings, as well as commonly associated terms and product descriptions for each item in your catalogue. Also frequently review your site’s analytics to see how people are searching, which will help you improve your site’s results over time. 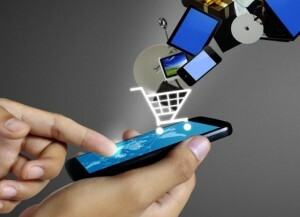 Do you have additional mobile eCommerce site search tips to share? Drop them in the comments below or Tweet us with #EasyAsk. In general, boxes and buttons should be large and rectangular. Creative shapes may look nice, but can hurt you when it conflicts with expectations, as shoppers scan sites quickly and are accustomed to corners. Make sure the search box is long enough to accommodate more descriptive search terms and phrases. The submit button should also be large enough to click on in a hurry. Always place your eCommerce site search box at the top of each page – right, left or center. Make sure it stands out from other boxes. Subscription or other promotional boxes can create confusion if they are not clearly differentiated. You may want to consider placing other box-like promotions at mid-page or lower. Add a phrase to your search box like “what are you looking for?” A conversational question or phrase will lead to more descriptive searches, which will produce more accurate results. Conversely, a search box that says “product number” will suggest to shoppers that you want succinct model number versus a conversational phrase. Shorter eCommerce site search phrases may not have enough information to match to all the relevant items in your product catalogue. Remember: the search box is the most valuable real estate on your site. Your eCommerce merchandising and eCommerce searchandising strategies will fail if shoppers can’t find and properly utilize your search box. Spend the time and effort upfront to get it right. Do you have additional search box tips to share? Drop them in the comments below or Tweet us with #EasyAsk. If Your Search Box Was a Personal Shopper, Would You Fire It? In the world of online shopping, your site search box is like your personal shopper. You know, like the ones who ask you, “How may I help you?” when you walk into a department store. In the real world, if you’re asked that, you’re going to tell them how they can help you. But in the eCommerce world, most of the sites you go to can’t help you the way a personal shopper can. Why? Because of Keyword Search limitations, and the fact that most people don’t know what’s possible with their eCommerce Site Search. In the early days of the Internet, way back in 1995, the Keyword attribute was popularized by search engines like AltaVista. But even as early as 1997, which was 15 years ago, they discovered keyword search was unreliable. But people still continue to use it! Why? If you use a long-tailed search (i.e. 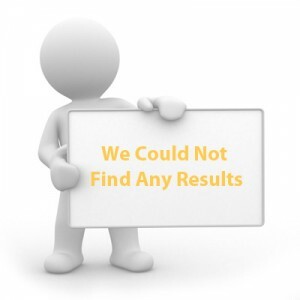 “Women’s black long-sleeved dresses”), the chances of your search returning the right product, are very slim. And now you’re reduced to clicking through page after page to try and find what you want. Or, if you’re like me, you leave the site altogether. Let’s flip it around and compare it to real life. What if you told a personal shopper that you wanted a “Women’s black long-sleeved dress,” and she returned with long-sleeve shirts, coats, jackets, short-sleeve dresses, strapless dresses, etc. You would look at her like she’s… how do I put this nicely?… AN IDIOT. Because you made it clear you what you wanted and she didn’t understand you. You wouldn’t accept this in real life, so why are you accepting this with eCommerce websites? Because you’re used to it? That’s just ridiculous, especially when your eCommerce Site Search has the ability to understand the entire intent and context of your request. Natural Language/Semantic Search has been around for years, but has not gained steam until fairly recently with IBM Watson and Siri on the iPhone. 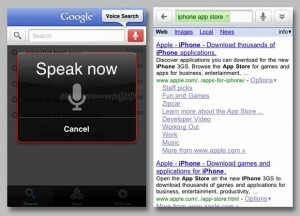 It’s a SMARTER and FASTER search than Keyword, and can understand long-tail searches, price constraints, and synonyms. Flip-flops, sandals, thongs, slippers are all the same thing, you know it, I know it, your search box should know it. It’s time to stop accepting below-average as the norm. Upgrade your eCommerce Site Search to a Natural Language Engine. 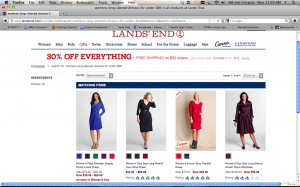 EasyAsk has done wonders with companies Large (Lands’ End) and small (Schuler Shoes). Take a look for yourself and see what can be accomplished with the right Searchandising tool. 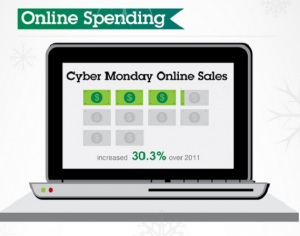 Cyber Monday sales were stellar, with some of the largest U.S. retailers seeing a 30 percent increase from last year, according to Smarter Commerce. Research firm ComScore Inc. (SCOR) says that Monday spending reached a record $1.46 billion! Some retailers were punished however, as sites with poor eCommerce site search lost customers due to the dreaded “no results” page. Mobile shoppers, who accounted for 18 percent of Monday’s retail traffic, are a major percentage of that group who left, as mobile devices offer cramped screens and clumsy navigation. Here are four tips you can apply to avoid the “no results” page to improve conversion rates and ensure you capture your share of this holiday season’s online and mobile sales. Show your shoppers full search terms as they type, so they can pick and click. And automatically correct or compensate for your customers’ typos to provide the most meaningful results. Many “No Results” pages are the result of long-tail searches, such as “Men’s black Ferragamo loafers.” The worst thing an Internet retailer can do is return a “No Results” page because the visitor will just jump to another site to find what they’re looking for. A good site search and merchandising solution will “relax” out words to find something close to what the buyer is looking for. In the example above, if the retailer doesn’t carry Ferragamo brand, they can show “men’s black loafers”. The best search-relaxation systems recognize concepts, like understanding that “black” is a color and “loafers” is a category. With this understanding, a top-notch site search solution can prioritize which concept to drop first. The most frustrating “No Results” pages don’t indicate why nothing is displayed. Use this space to tell them why the search failed and give them options and instructions on how to continue their search. Many sites offer a list of popular searches or popular brands offered and, if possible, personal assistance via phone or chat. There are new mobile eCommerce solutions that enable Smartphone users to just hit the microphone button and speak directly into the search-box. The very best eCommerce solutions provide this, transforming iPhones, Androids and Window’s Phones into a fully functional eCommerce shopping experience. These are just a few tips you should consider implementing within your eCommerce software solution to mitigate the “No Results” page. What other ideas do you have to improve your site search results? Let us know in the comments section, or Tweet them to us with #EasyAsk.